Breckenridge Town Council is now considering an ordinance to regulate drone use in town. Briefed about federal laws regulating recreational and commercial drones, Breckenridge Town Council agreed to introduce an ordinance regulating their use in town. In discussions, council members asked numerous questions, spoke from personal experience and cracked a couple jokes. 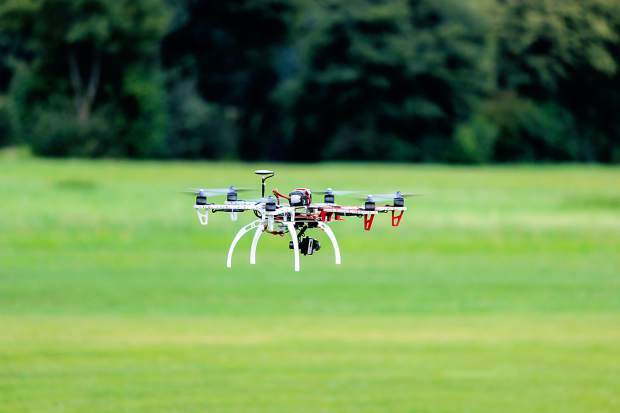 Some of the biggest concerns hovered around flying drones over crowds of people, drones disturbing local wildlife during the mating season, distinguishing commercial from recreational drones and passing an ordinance that police can actually enforce. At council’s direction, town staff left the meeting with instructions to return with a proposed ordinance modeled largely after regulations imposed by the FAA, which supersede any laws the town could enact. Additionally, council unanimously passed an emergency ordinance, which requires only one vote to become law and takes effect immediately, to prevent horse-drawn carriages, pedicabs and pedal buses from regularly operating on Breckenridge’s streets and highways. According to a memo addressed to council from town staff, the move is the result of a number of complaints about slow-moving vehicles in town, and there are currently no active permits nor any applications for permits in the works for any of these activities. A provision within the ordinance does, however, allow for conditional use permits, such as a one-time event. Every council member was in attendance. Council meets every month on the second and fourth Tuesdays of every month at Town Hall, 150 Ski Hill Road. The work sessions begin at 3 p.m. and the regular meeting starts at 7 p.m.